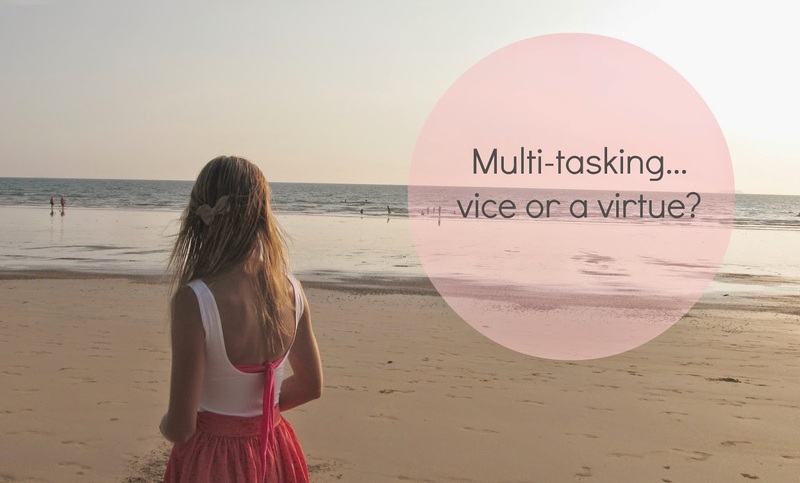 Caitlyn de Beer: Multi-tasking...vice or virtue?? One of the buzz words amongst psychologists and life coaches for 2013 and definitely running into 2014 is “mindfulness”. Simply put, Mindfulness means “being aware”. In this fast moving, chaotic world where it’s probable that by the time you’ve bought your new Iphone the next model is already being released, it’s no wonder that people are feeling overwhelmed, overworked, vague and forgetful. The truth is that we were never meant to focus on twenty things at once. It is not in our design to multi-task (at least not as much as we currently are) and it sure doesn't have any long term benefits on our way of life, work standards or even brains. Forgetfulness is often blamed on age (which of course plays a part) but for the most part, the reason you walk into a room and forget why you’re there, is due to one cause and one cause only. Multi-tasking. What was previously considered a behavioral characteristic of the ‘successful’ is now seen as an easy excuse for getting a lot done, badly. Mindfulness, minus all the new-age chatter, is a simple concept teaching us to slow down. To slow down and to focus on what we do, think, eat, feel, how we behave and even how we relate to others. To be mindful, is to be awakened. It is to tune in. Mindfulness may sound heavy, but in truth it’s freeing and oh-so-easy to start applying to your life. #2 – Cut down on multitasking – this doesn’t mean cut it out completely, but rather try to really focus on the task at hand, this way giving each activity the time the task deserves. Doing this exercise three times a day, will help you zone in on what needs to be done and in turn you will find that you get more done, more effectively. #3 – Sit down when you eat. This is not a hard and fast rule, but it definitely plays a role in helping us be more mindful of what’s going into our bodies and why. Eating for what your body needs and not merely out of habit, boredom or emotionally driven will help you control your weight and feel more in touch with what your body needs and how it feels.